My first impressions with the Bolt M16A4 AEG Blowback Airsoft Rifle where not so good as it was miss feeding and miss firing terribly for me. A quick communication with BOLT Airsoft and I was informed that perhpas my BB choice was the wrong one. 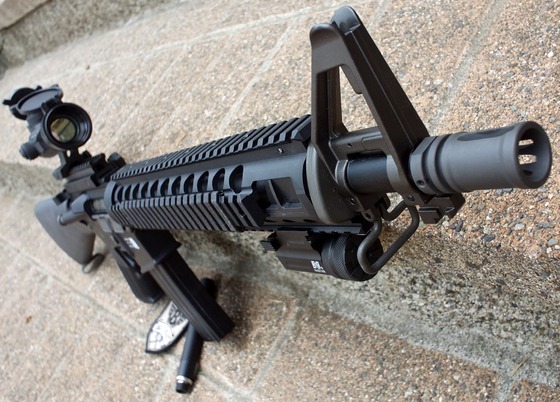 The Bolt M16A4 AEG Blowback Airsoft Rifle has a true 6mm barrel so it is a tight fit with BB's that are 6mm since many can actually be a bit larger making them get stuck in the breach area. 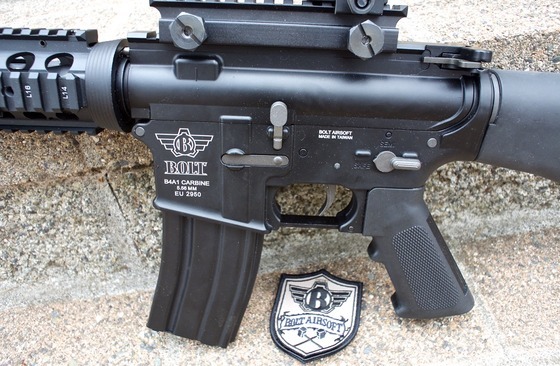 So getting back to my Field Test Shooting Review for the Bolt M16A4 AEG Blowback Airsoft Rifle with BRSS Heavy Recoil... In this video Field Test Review I shoot several rounds through my Chronograph to test out the fps velocity of the Bolt M16A4 AEG Blowback Airsoft Rifle. Which by the way came in around the mid 300's. I also step back 30 feet and shoot some semi auto rounds into a paper target to see how accurate the Bolt M16A4 AEG Blowback Airsoft Rifle is. Since the Bolt M16A4 AEG Blowback Airsoft Rifle is a semi and full auto AEG Airsoft rifle, I also had to replicate my accuracy in full auto to see if my groupings would stay consistent even at a high rate of fire. I was very impressed with the accuracy in both semi and full auto, form 30 feet out you will get within 2 inches all day long. It is fair to note that I was using 11.1 volt Li-po batteries with .20 gram BB's for the entire testing so this did effect my motor speed giving me quicker trigger response and faster full auto rate of fire. I would suggest using a high capacity battery setup since the BRSS Heavy Recoil does use up some additional battery power but boy is it worth it. The BRSS Recoil is not going to be as heavy as a true gas blowback system but it is close and does give you a nice shoulder tap but with the benefit of high capacity AEG magazines and consistent AEG performance. 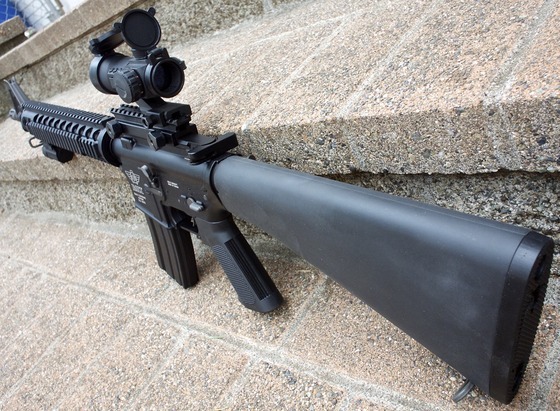 In a nutshell, if you want the dependability, consistency and none stop shooting performance of an AEG Airsoft AM16 but with the blowback action of a gas system then make sure to give the Bolt M16A4 AEG Blowback Airsoft Rifle with BRSS Heavy Recoil a good look into.